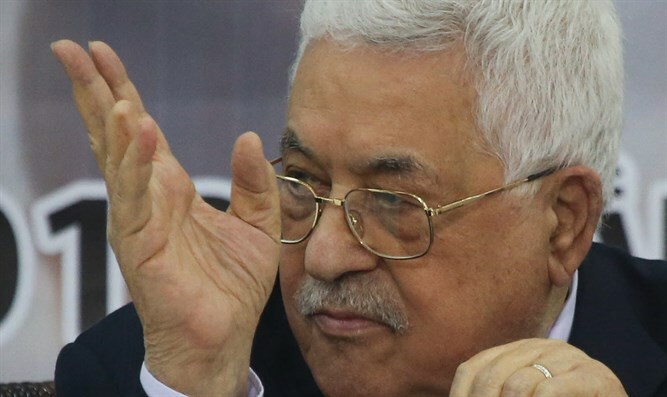 Palestinian Authority Chairman Mahmoud Abbas spoke in Ramallah and accused Prime Minister Netanyahu of transferring funds to Hamas used to finance terrorist attacks in Judea and Samaria. "He personally transfers money to Hamas to carry out terror attacks in the West Bank and we pay the price," Abbas said. Prior to publication of Trump's peace plan for the Arab-Israeli conflict, Abbas said that "we won't negotiate with the American administration, because it's not neutral. We support an economic, political. and security agreement. "Israel and the US are talking about the economic solution to the conflict and transferring $10-12 billion to the Palestinian Authority. But where's the political solution? According to the US and Israel, it'll come later, we know the result of this path. We won't accept a solution that will not address the political problem. "We won't agree that Hamas is accused of being a terrorist movement. It's part of the Palestinian people, we don't agree with Hamas on almost every issue, and they create anarchy in the West Bank, but these things are between us Palestinians. We won't accept condemnation of Hamas." Abbas described efforts to thwart Brazil's recognition of Jerusalem. "I spoke to President Erdogan for quick action against Brazil in response to their decision to recognize Jerusalem as the capital of Israel, and we agreed to continue cooperation with the Turks so we can see what can be done about this dangerous issue, whether it comes from Brazil or any other country."